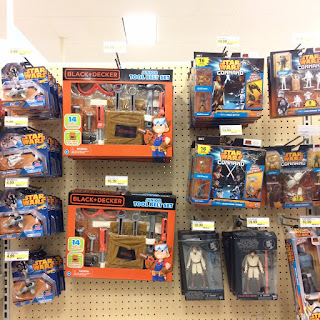 I made a pit stop at Target on my way to work this morning, and was really impressed with Target’s innovative ways of displaying Star Wars toys. 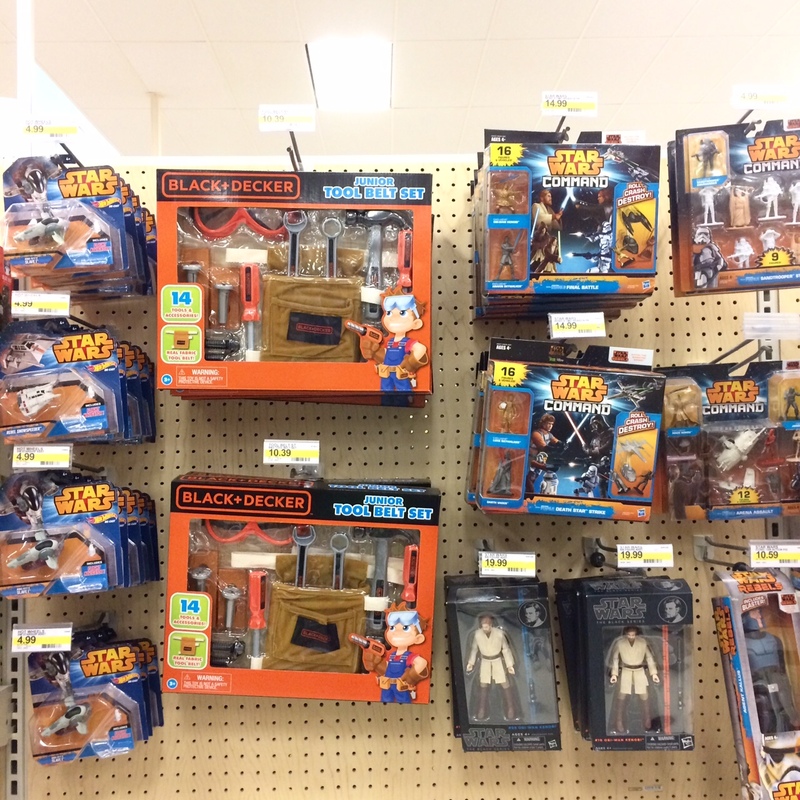 You know how most Star Wars displays don't have a few Black & Decker Tool Belts randomly shoved in the center? Well this Target solved that issue.